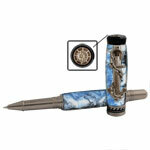 Our Voyager Rollerball is a pen kit for nautical lovers and anyone who has a love for sailing, boating, or cruising! The hefty anchor is wrapped in chains on the clip and is truly unique! 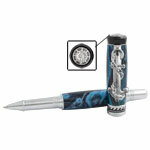 The center band is encircled with recessed waves, and a ship’s wheel adorns the “aft” end cap of the pen. 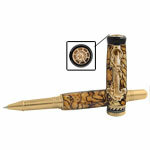 The cap posts on the rear of the pen and has wide threads to prevent cross threading. 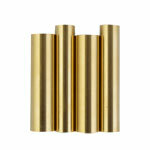 This pen is definitely a display piece! 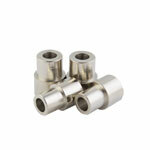 Available in 24kt Gold, Gunmetal or Chrome.